Columbia Medical Centers specializes in Internal Medicine for the residents of Greenacres and surrounding towns. 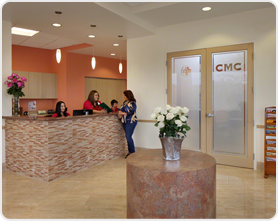 Our state-of-the-art facility offers the latest in healthcare technology and service excellence. Our goal as health care providers is to treat, educate and involve patients in their care and well being. Evelyn Nieves, M.D, and our carefully selected team of specialists are affiliated with all local hospitals and most diagnostic centers. Dr. Nieves is fluent in English, Spanish and Portuguese. Whether you need a highly skilled and caring personal physician, a second opinion or a specialist referral, we’re here for you. Walk-ins are always welcome! We accept all major insurance plans and Medicare Advantage programs. At Columbia Medical Centers, we look forward to partnering with you to help you achieve the optimal health we all value.